edited by Lubica Hudáková et al. 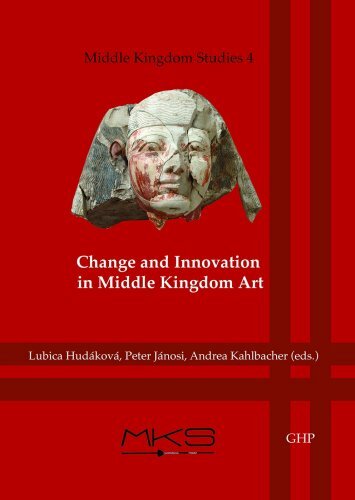 This volume of eight studies focussing on 2- and 3-dimensional art of Middle Kingdom aims to re-evaluate and challenge old concepts and to inspire new ideas, approaches and debate. Is Middle Kingdom art a faithful continuation of the old traditions? How does it differ from earlier and later periods? When, where and why did these changes happen? Does artistic development necessarily follow political progression? This last question is at the heart of a paper by Biri Fay. Using the ironic title Let the Old Kingdom End and the Middle Kingdom Begin! Fay emphasises the “subtle flow” of artistic development – more a “continuum” than a series of separate phases – and argues we can only fully understand a particular piece of art if we are familiar with all periods of artistic production and their historical and social context. In this light, she reassesses a statue head of Khafra (from Leipzig), concluding that stylistically it is more likely to be a Twelfth Dynasty votive in honour of the Fourth Dynasty king than an Old Kingdom original. Decentralisation during the First Intermediate Period led to a diversification in arts, and a move from the Memphite tradition to more innovative and provincial styles, particularly in Thebes – soon to become the new capital following reunification. Lubica Hudáková explores the influences of Theban tomb paintings – specifically two scenes depicting the laying out of the deceased, and a mourning ritual – on tomb decorative programmes of the New Kingdom, while Vera Vasiljevic shows how Old Kingdom motifs for high status (the carrying chair, dwarfs and dogs) were later replaced by images of armed retinues, symbolic of military might, which reflected the changed political situation of the First Intermediate and early Middle Kingdom period. Other papers focus on developments in the decorative programmes of tombs at Qaw el-Kebir and the Tomb of Djehutyhotep II at Deir el-Bersha, a reassessment of the so-called “reunification style” on the production of Middle Kingdom royal statues, and a paper by Simon Connor in French, analysing a large number of Late Middle Kingdom royal statues from across Europe, showing how each king made his portrait distinct from those of his predecessors through changes to facial feature dimensions and general expression. Illustrated with copious black-andwhite and colour plates, with comprehensive notes and bibliographies, this volume brings fresh perspectives to the study of ancient Egyptian art throughout the pharaonic period. In bringing this work before the public, Rebecca Dean introduces a couple of new topics to a subject well aired in Egyptology, namely experimental archaeology on the use of weapons, and the involvement of women in weapon use as indicated in reliefs and paintings from antiquity. Indeed the author appears to be something of an apologist for the feminist cause in ancient Egypt, quite rightly pointing out that we cannot apply Western – or indeed modern Middle Eastern – attitudes to a society so far removed from our own as to be almost completely alien. 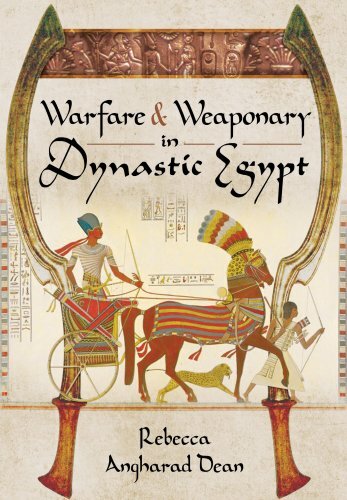 This book covers the basic topics of Egyptian warfare, without citing or analysing in detail any specific battles or campaigns and then concentrates on the employment, construction and use of individual weapons such as the mace, hand axe, khepesh swords, daggers, spears and archery equipment. There is also discussion of defensive items including shields, body armour and (possibly) helmets as to their individual effectiveness against various invading military forces. It was these enemy forces who frequently introduced the Egyptians to innovative weaponry such as chariots, composite bows, khepesh swords and refined metallurgy which the Egyptians then perfected for themselves. A substantial section of the book is devoted to testing various weapons against pig carcasses (the closest physiological parallels to human bodies). All arms were skilfully forged or cast using the same materials as used by the Egyptians, with experiments focussing on their use by women, and/or men unfamiliar with warfare (who would have been levied to counter a specific threat), re-inforcing the author’s proposition that women were more than capable of using these sometimes heavy or clumsy weapons. Various sources are cited including a relief from the tomb of Anta at Deshasheh, where women are clearly engaged in a successful fight against invading Bedawi – although that particular scene as shown here is almost illegible. In fact, most of the illustrations are drawings rather than photographs, possibly for reasons of economy, and captions are listed at the front of the book rather than on the relevant page, resulting in some tedious referring back and forth to read how the picture related to the text. On the other hand, all footnotes, listed at the back of the book, were numbered consecutively making them much easi- er to find and consult. Curiously, a number of prepositions are missing within the text, which should have been picked up during proof-reading. I was surprised the author’s research had not embraced the magisterial work of combat expert Mike Loades, whose study of Egyptian weapons (Pen and Sword, 2010) revealed the khepesh in particular to be an effective and deadly multi-purpose weapon, so useful in fact that he wonders why it ever went out of fashion. Dean’s conclusions regarding maces as being mostly ceremonial or tools of execution fails to account for the fact that such weapons could be effective without the need to break bones or damage organs; a substantial blow to the head for example, while not fracturing the skull, could dislodge the brain causing internal bleeding and loss of consciousness. However, this is a very readable and engaging book, which flies the flag for sexual equality within a particularly specialist arena, pointing the way for further research and experimentation. Alan is Vice Chair of Egyptology Scotland and formerly scientific assistant to Cyril Aldred at the Royal Scottish Museum. This volume is a usefully concise overview of the plentiful Third Intermediate Period funerary evidence, seen through the lens of female members of the (sub-)elite. The book opens with a short introduction explaining feminist archaeology and its application to the Theban mortuary case study. Chapter 1 gives a background to major concepts of the period – such as kingship – and the nature of the surviving evidence, usually from burial contexts. 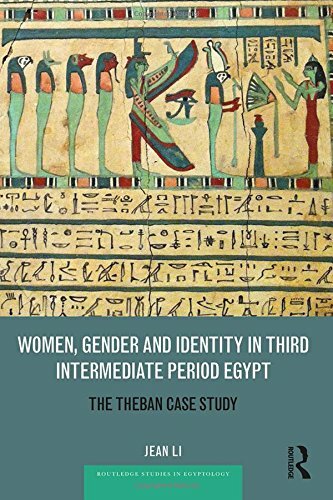 Chapter 2 offers a justified critique of the prevailing Egyptological conception of ‘titles’ and ‘functions’, especially as women’s titles are often dismissed as ‘merely honorific’. Chapter 3 surveys the sacred spaces chosen for the burial of women (and the Third Intermediate Period as a whole). The final chapter reviews the different components of female burials, before a short conclusion summarises the arguments presented. The book is clearly a redacted PhD thesis and, in addition to offering new insights based on discussion and reassessment of evidence, provides a useful synthesis of other work in this area. Although Li defends the fact that she has not included the raw data on which her discussion is based (due to lack of space), it would have been useful to have some indication of what material she is drawing on, as well as having more visual illustrations of the material under discussion (illustrations are limited to a handful of maps, plans and archive photos). The author tends to assume throughout that it was the women themselves – and not their male relatives – who were responsible for their representations. Such self-determination seems unlikely, alas, as production would appear to have been male-dominated. Nonetheless the book is a timely reassessment of the male-centred bias in the examination of funerary archaeology from this fascinating period. 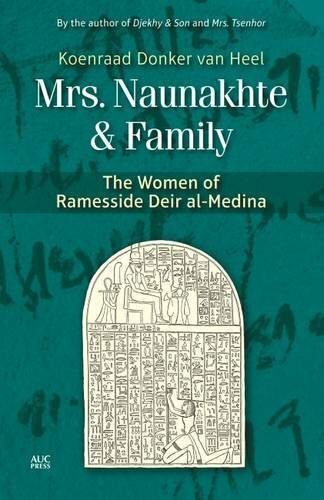 Mrs Naunakhte was an ‘average’ woman who lived in Deir el-Medina during the Ramesside era. We know of her from a court case she brought against her eight surviving children, disinheriting most of them because they neglected to take care of her in her old age (she lived to be about 80). We have only these court records as direct evidence for this lady, but Koenraad Donker van Heel is able to tease out the story of her long life (down to the possible ‘kitchen table’ chat at home) through the stories of the people who knew her, sifting through the papyri and ostraca evidence to bring to life some of the colourful characters of the workmen’s village. We discover that Mrs Naunakhte was married off at about the age of 12 to the senior scribe Qenhirkopshef (about 40 years her senior), who had “the most atrocious New Kingdom hieratic ever seen”; the author includes an image of an ostracon with the caption “Qenhirkopshef ’s handwriting on a good day”. This (probably) corrupt official left his young wife lands and an extensive library; he possibly taught her to read and write – skills she may have passed on to her carpenter sons. At his death she married a lowly workman – Khaemun – the father of her children, including the “wimp” Neferhotep (excluded for constantly scrounging from his mother), a daughter Menatnakhte (who appears to have had a fling with a womanising thief) and her son Maaninakhtef (who sadly squandered much of the library he inherited by reusing the papyri to write letters). The author clearly loves his material and is easily distracted; the tale of Khaemun’s donkey leads to a discussion of agriculture in the village, to land leases during the Kushite period, and a dispute between a workman, a water-carrier and a chief of police. These entertaining digressions eventually return to the matter at hand – the life of Naunakhte and her family, but not before revealing many engaging stories about the Deir el-Medina villagers: the villainous General Payankh who ordered his wife (or possibly mother) to murder two policemen; the mother who stole her daughter’s inheritance to buy an expensive mirror; Mr Sennefer and the pet names of his donkeys (including “Excellent Cat” because it ignored its master and “Pig” because of “the way you gobble your fodder”). From the start, the author declares he is writing “a book for everyone” – about ordinary people like us – and as such he is happy to “speculate at will”. The narrative occasionally becomes mired in more specialist discussions of possible textual interpretations (with homage paid to authorities such as Černý and Janssen), but the enthusiastic and witty storytelling carries the reader through, making for an absorbing read for specialists and general readers alike. For many of us deprived of our former ‘fix’ of regular visits to Egypt, events there have been not only worrying but difficult to interpret. Here we have an account from a real insider about what used to be and what is now. Wafaa El Saddik is an Egyptianborn Egyptologist who has homes both in Cairo and in Germany so can see events from two sides. Her career has been outstanding, culminating in her appointment as the first female General Director of the Egyptian Museum in Cairo. She begins dramatically with the ‘Day of Rage’ (25th January 2011) which led to the overthrow of the Mubarak regime, giving an informed perspective on the plundering of the Cairo Museum. The decision to write this book came because of these events and the author explains why and how she came to be working for what she plainly describes as a corrupt regime. Her relief at escaping its control at the time of the revolution is very clear. She relives her early years in rural Egypt where her father was a civil engineer. In her early years, she experienced the events surrounding the Suez crisis and the rule of Nasser; her whole life changed when the family moved to Cairo and her father became involved in the construction of the High Dam at Aswan. As a student in the 1970s she had the chance to visit Luxor and Aswan, inspiring her to specialise in ancient languages and archaeology. In her role as curator of the Khufu Boat Museum she met many important figures: Sadat, Mubarak, the Shah of Iran, Jimmy Carter and many others. She also worked with a British mission in Libya but was forced to leave the country after speaking out against Gaddafi’s plans to destroy Libya’s great archaeological sites (which thankfully survived). Wafaa then found herself working in Egypt’s antiquities department, eventually becoming the inspector at Giza. 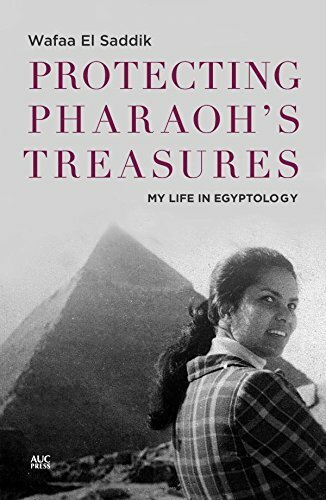 The latter part of the book covers her experiences in many aspects of modern Egyptology, especially in regard to her work in the Egyptian Museum and highlights her many confrontations with corruption, authoritarianism and power-politics. The reader will be intrigued by her dealings with well-known figures in the field. There is a huge amount of fascinating material here, too much to cover in a short review. There are two themes which run throughout the book. One, probably no surprise to Western readers, is the difficulties faced by a talented and well-qualified woman to make her way in a male-dominated society or professional field. The other, which we perhaps are less likely to acknowledge, is how much Egyptology has and still suffers from a strongly colonial influence, typified by the attitude of former Consul General, Lord Cromer,“a man who in Egypt continues to stand for the arrogance and brutality of the British Empire to this day” that the Egyptians were not “civilized enough” to deal with their antiquities. It is enlightening to hear the views of someone who has had to overcome such obstacles. The author concludes with a heartfelt plea that readers of this book should ”journey up the Nile, meet the people, marvel at the wonders that await you. Help us to preserve this unique cultural heritage and create a democratic society. We need friends, support, and encouragement, especially in these difficult times of self-discovery.” How can we resist? 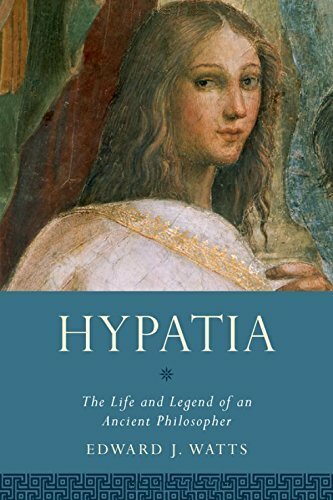 The philosopher Hypatia (born c. AD 355) is the subject of two biographies published this spring (see also below), each interrogating the limited primary sources as well as other later writings, but with differing approaches and contradictory conclusions. The Hypatia of Edward Watt’s book (part of the excellent Women in Antiquity series) was Alexandria’s “leading thinker” for nearly 35 years, a devoted public servant and “force for peace and good government” at a time when rivalries between pagans and Christians frequently erupted into violence on the city’s streets. Yet today she is best known for her tragic and brutal murder, dragged through the streets by a mob and hacked to pieces with broken pottery. Watts uses a brief account of this murder as a starting point to retell Hypatia’s story, focussing on her remarkable achievements as an intellectual who held considerable political influence at a time when only men could hold civic office and wield formal power. Hypatia was educated by her father Theon, the prominent mathematician, taking over his school in the 380s and developing her own moderate Neoplatonist teachings which were seen as a “welcome antidote” to the confrontations between Christians and the Iamblichan philosophers (whose religious practices had been condemned), offering a way for both Christian and pagan communities to “co-exist and co-operate”. She held audiences with the Roman governor and was instrumental in bringing philosophy to the fore in Alexandrian intellectual life. She made sacrifices: she chose to remain celibate, faced constant sexual harassment and had to fight longer and harder than any male philosopher to gain recognition. She also made enemies, although her brutal killing may not have been intended. A group supporting the ambitious Bishop Cyril set out to frighten her with a demonstration outside her house, but ran into her in a public space, where things got out of hand. Following her death, Hypatia’s distinctive style of philosophy disappeared and she is remembered instead in literature and cinema as the legendary martyr to religious extremism symbolising the end of the Classical world. Watts argues that we should not allow her dramatic death to overshadow her life; Hypatia should be remembered for her talents, determination and achievements, as a guiding light for Alexandria during a turbulent period of the city’s history. In her biography, Charlotte Booth begins with Hypatia’s modern portrayal (in art, literature and film), ending with her violent murder, although in between covering much of the same ground as Edward Watts (see above) – such as life in Roman Alexandria, developments in philosophy, the religious volatility of the times and Hypatia’s possible involvement. Booth’s approach, however, is less narrative and more interrogation of the various sources (only one of which was contemporary: letters between Hypatia and her student and disciple Synesius) and their ambiguities. None of Hypatia’s philosophical works have survived, and Booth argues she cannot be regarded as an “original thinker”, but rather as an astute commentator on the works of other great scholars. Often adopted as a feminist icon in modern times, Booth points out that there is no evidence that Hypatia spoke out for women or even taught women at her school; Booth is similarly unconvinced that Hypatia is an appropriate symbol for the fight of good versus religious intolerance, suggesting she “[kept] her head beneath the parapet” when around her pagans and Jews were being persecuted. The author’s conclusions are an antithesis to Watts (above). 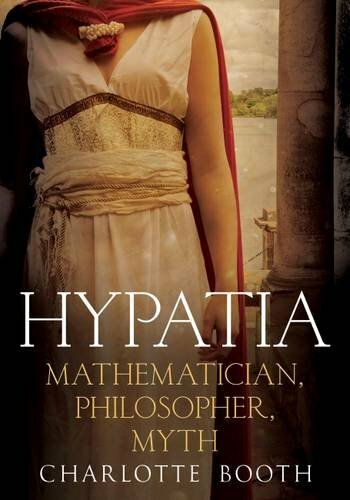 She argues that we cannot deduce the woman behind the myth from the limited evidence available and that this very lack of evidence suggests Hypatia may not have been particularly remarkable in her time. She goes as far as saying Hypatia’s life is “almost irrelevant” to the immortality brought by her brutal death, and that without this tragedy, she would have been forgotten like any other wealthy educated woman of her time. How well do you know your royal cartouches? Just as the cartouche of Ptolemy V helped to unlock the secrets of the Rosetta Stone, the ability to read a cartouche on a monument or museum artefact can reveal much – as well as impress your friends! What if your mobile phone could tell you who was Usermaatra Setepenra? (Ramesses II – or Takelot I – or Osorkon II??) or help you work out which Ramesses or Thutmose stands before you? That is the idea behind this latest app (currently only for iphone and ipad) – a handy mobile guide to the kings of Egypt. It is very basic – a chronological list of pharaohs with their cartouches from which you can select and then (if you have wifi access) click through to the Wikipedia entry for that king. As with any Wikipedia page, you would not want to base an academic essay on the contents, but it’s a great starting point to further research. Some of the cartouches are rather blurry, and I had problems trying to use the hieroglyph search and the camera option to record your finds). But as with all apps, this is a work in progress with glitches dealt with by various updates, and the developer himself is up-front about its limitations – he is a “motivated amateur” inspired to create the app after a visit to Egypt. A guide that allowed you to scan or type in the hieroglyphs to reveal the king’s name would be far quicker than having to scroll through a list of cartouches, but until the technology is up to that, this app is a useful on-the-spot guide to have to hand.